In 2011 LBI helped a town in Germany honor its Jewish past and connect with one of its native sons, Harry Ettlinger. Now Ettlinger’s military service during WWII is the subject of an upcoming major motion picture. 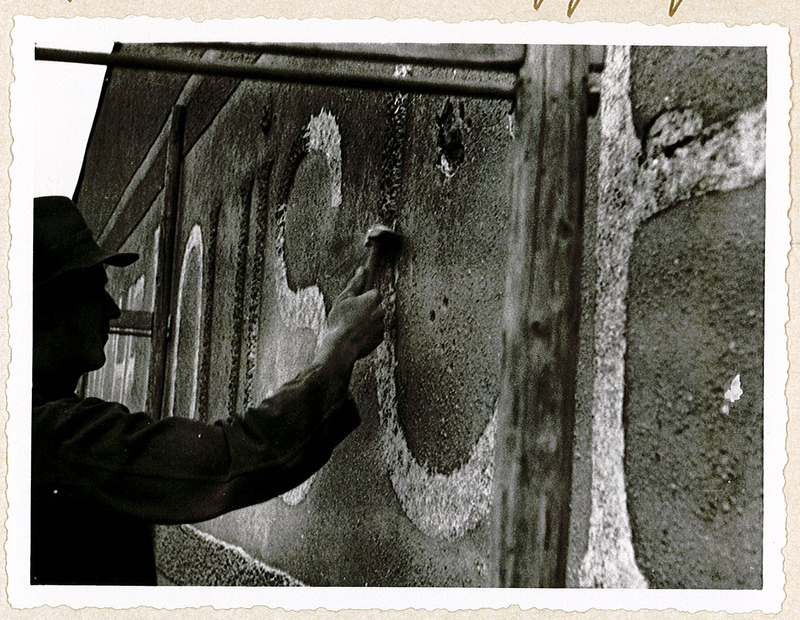 Those who want the full story will find it in the LBI archives. History, August 2010. Courtesy Jochen Wolf. Like many German and Austrian Jews who found refuge from the Nazi regime in the US, Harry Ettlinger, born 1926 in Karlsruhe, found himself back in Europe in 1944 wearing the uniform of a US Army private. 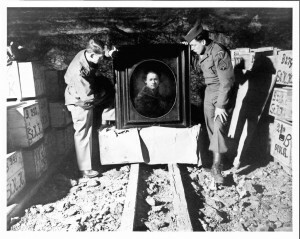 Shortly after he was drafted, he was assigned to hunt for looted artwork stashed away in salt mines and castles as one of the “Monuments Men,” a team of Allied service members and art historians tasked with recovering art that was looted, displaced, or lost during the war. Before his 21st birthday, Ettlinger had helped rescue priceless works of art, from a Rembrandt self-portrait to the stained glass windows from the Cathedral in Strasbourg. Memoirs, archival collections, photographs, and oral history interviews in LBI collections tell the stories of numerous young men and women who bravely returned to their native countries with Allied liberators. Hollywood will soon shine an especially bright spotlight on Harry Ettlinger’s story, however; George Clooney is producing, directing, and starring in a film about the “Monuments Men” slated for nationwide release in December, 2013. Harry Ettlinger (r.) salvaging a Rembrandt painting from a salt mine where it had been hidden to protect it from bombing (1945). Courtesy National Archives and Records Administration. With a star-studded ensemble cast that includes Daniel Craig, Cate Blanchett, and Matt Damon, the film will focus on the stories of real individuals, including Harry Ettlinger. 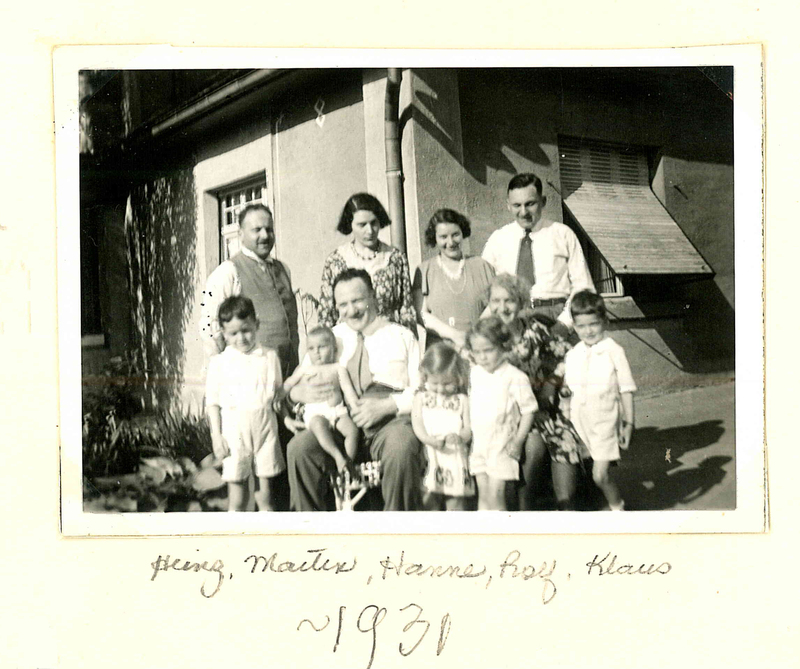 Mr. Ettlinger’s family history in Germany, of course, goes far beyond the episode depicted in the film, and LBI is proud to hold an archival collection that documents generations of Mr. Ettlinger’s family history in Baden-Württemberg: The Baer-Oppenheimer Family Collection. As a child, Harry spent time in the town of Bruchsal with his grandparents, Otto and Emma Oppenheimer. Otto ran his family’s textiles enterprise, a major local employer. He was also a civic leader who founded the Bruchsal art society and played an active role in the mostly Catholic town’s Carnival Society. 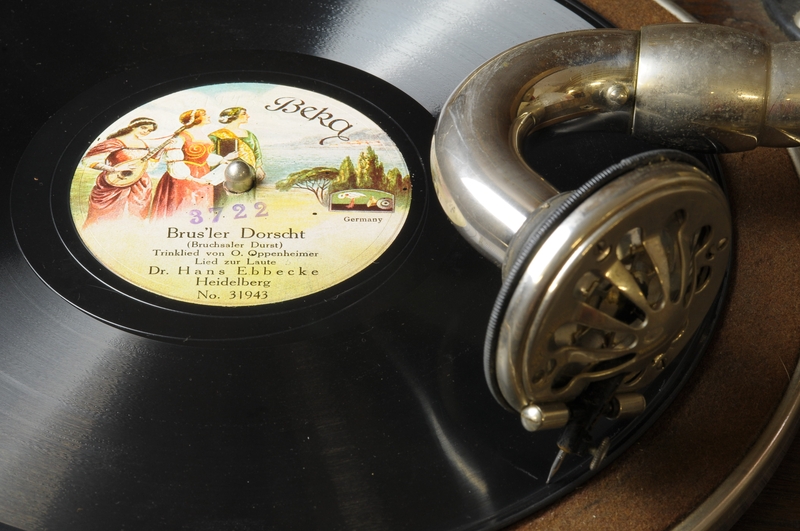 Perhaps the most enduring legacy Oppenheimer left his beloved hometown was the song Brusler Dorscht (“Bruchsal Thirst”), a humorous ballad that he first performed at his own bachelor party. This tale of the fictional alcoholic Count Kuno and his prodigious thirst soon became the unofficial town anthem. In the 1930s, National Socialist policies gradually eroded the Oppenheimer family’s prosperity. Otto was accused of trading in fabrics used for Sturmabteiling uniforms in violation of a prohibition against Jewish suppliers, and in 1938 he was forced to transfer ownership of the business to a non-Jewish colleague. 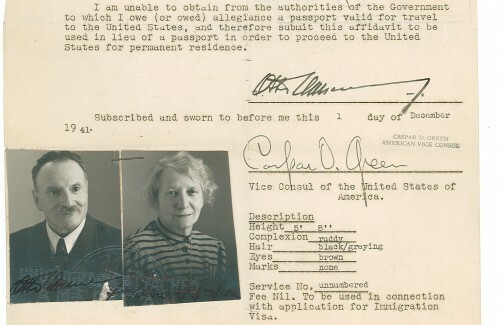 In 1941, Otto and Emma Oppenheimer emigrated to the United States, where their daughter Suse had already arrived in 1938 with her husband Max Ettlinger and their three sons, including Harry. 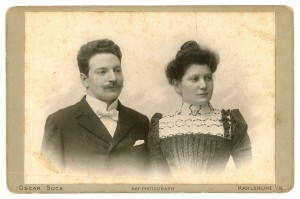 Otto and Emma Oppenheimer, shortly after their marriage in 1903. Courtesy Harry Ettlinger. This began to change recently when a grassroots group of local citizens researching the city’s Jewish history petitioned to name a city square in his honor. Jochen Wolf, one of the local activists, contacted LBI for help with his research on the Oppenheimer family. 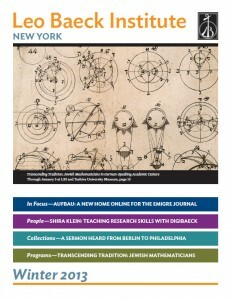 In my role as a reference archivist, I pointed him to resources in the Baer-Oppenheimer collection, which were cited in a series of historical articles about the Oppenheimer family published in the Bruchsal Netzzeitung, an outlet for citizen journalists. These articles had the intended effect, and popular support for the creation of an Otto-Oppenheimer-Platz in Bruchsal finally reached a critical mass in early 2011, when the town council approved a renaming of the Holzmarkt after Otto Oppenheimer. 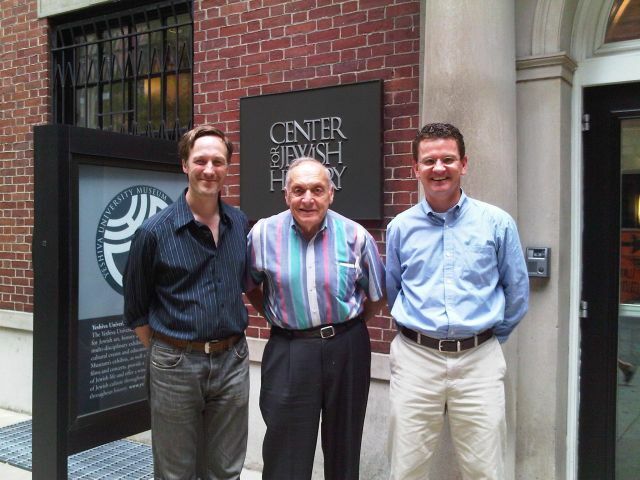 In May 2011, I was honored to travel with Harry Ettlinger and other descendents of Otto Oppenheimer to Bruchsal for the inauguration of the newly named city square. I was proud that LBI, through its archival collections, was able to facilitate a commemoration of a time when Otto Oppenheimer was a respected and prominent member of a community that he loved, and when Harry, as a small boy, visited his grandparents in the idyllic town of Bruchsal. 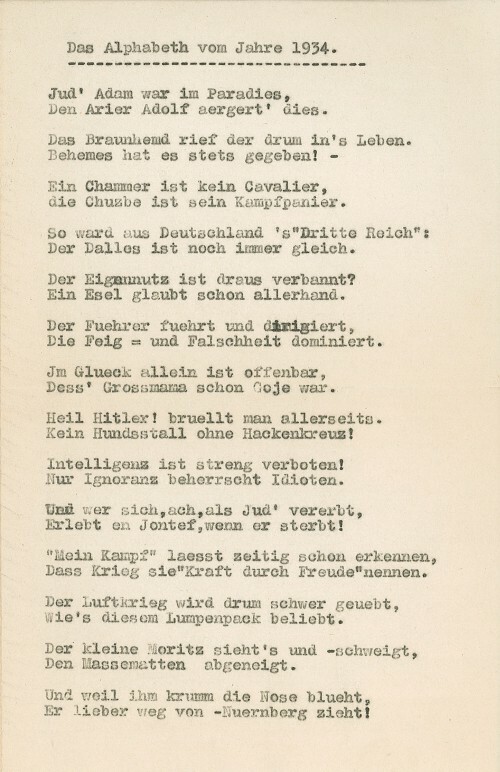 Otto Oppenheimer was an accomplished and prodigious composer of humorous verse and wrote the Brusler Dorscht for the local Carnival Society. He debuted the song at his own bachelor party in the Hotel Keller in 1901. Courtesy Klaus Biber. 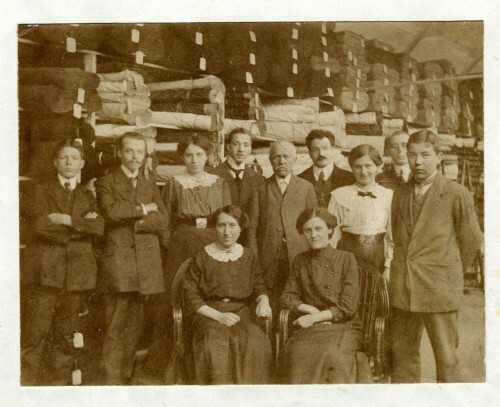 Employees of the Oppenheimer Textile business in 1913. Otto Oppenheimer took over the family business after the death of his father Louis in 1907. Otto and Emma Oppenheimer with their children and grandchildren in 1931. Harry Ettlinger is on the left in the front row. Courtesy Harry Ettlinger. Workers remove the Oppenheimer name from the business after Otto Oppenheimer was forced to transfer ownership of the family business to a non-Jewish colleague, Ernst Franke, in August 1938. Among the poetry in the Oppenheimer collection is this satirical poem titled “The ABCs of 1934,” which skewers the Nazi regime with a rhyming couplet for each letter of the alphabet. Otto and Emma Oppenheimer emigrated to the US via Switzerland and Havana, where they submitted this affidavit the US consulate in connection with a visa application on Dec. 1, 1941.